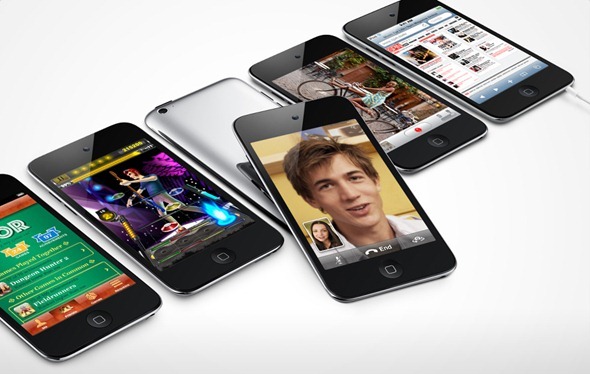 Should Apple Kill The iPod touch And Replace It With The Low-End iPhone? After coming across a rather interesting op-ed, we pondered over the possibility of an Apple product line-up where the popular iPod touch would be replaced by a low-end iPhone, similarly priced as the iPod touch. It made a lot of sense to us, and we’ll tell you exactly why. Read the full post, after the break! The op-ed comes from VintageZen titled Apple Should Kill Off the iPod touch in which the writer very nicely sums up some of the many reasons why Apple would want to kill the iPod touch and, of course, replace it with a low-end iPhone. He calls the iPod touch a “strange” device because of the fact that it is branded as an iPod, looks like an iPhone but is down-spec’d and without 3G data connectivity. VintageZen believes that after Steve Jobs’ resigning as CEO, it would be a great move for Tim Cook and Apple as a whole to get rid of the iPod touch, much like they removed the iPod mini a few years back, to show that they are still innovating and believe in keeping their product lineup as simple as possible. The iPod Touch has always been a bit of a strange device, basically a stripped down iPhone, without any phone or cell data capability. It was called an iPod, but was completely different from Apple’s older iPods that focused almost solely on music. Yet, it still seems like an illegitimate child, not quite up to the iPhone’s status. The question, then, is which product should replace the iPod touch? It is, after all, a very popular product among tweens, teens and young adults as it allows them to play with the iPhone’s extensive gallery of games and apps without getting stuck with an expensive two-year contract with AT&T/Verizon. The answer is: the strongly rumored low-end iPhone “4S” (or whatever the decide to call it). First, if the low end iPhone sold, without a contract, for around $200-300, it would be in the same price range as the iPod Touch, and would draw the same buyers. However, it could potentially draw in many more buyers with the fact it could also be used as a phone by simply putting in a sim card. It would be a dream device for many that want to simply use ‘pay as you go’ plans and don’t want to be locked into a 2 year contract. We see the low-end iPhone as an iPhone 4, but with dumbed down specs to keep the price in $200-$300 range. There would have to be a big difference between the low-end iPhone and the next-generation high-end iPhone to ensure that people just don’t pick up the low-end iPhone and call it a day; that would harm sales of the high-end iPhone. A 3 megapixel vs. an 8 megapixel camera, single-core A4 vs. dual-core A5, VGA front facing camera vs. a 2 megapixel one, smaller battery vs. a high capacity one and, perhaps, a maximum of 8GB internal storage vs. 64GB on the high-end iPhone would definitely, we think, help keep both products for separate segments of the market. This would be quite the dramatic move for Apple and we’d love to see it announced at the rumored September media event, but we don’t see the event happening this week at least, since Apple hasn’t sent out any invites for such an event yet. Now, we leave our dear readers to chip in with their ideas on the topic. We’d love to see if you have any alternative ideas or would rather just see Apple continue the iPod touch as an iPhone without the phone for younger segment of the market. Use the voting system embedded below to let us know!